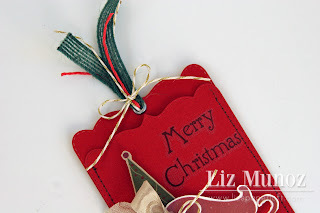 Liz's Paper Loft: Monday Hop with EAD Designs ~ Merry Christmal! This is my second post of the day, so be sure to scroll down and see! I'm having a giveaway too! Now on to my project! 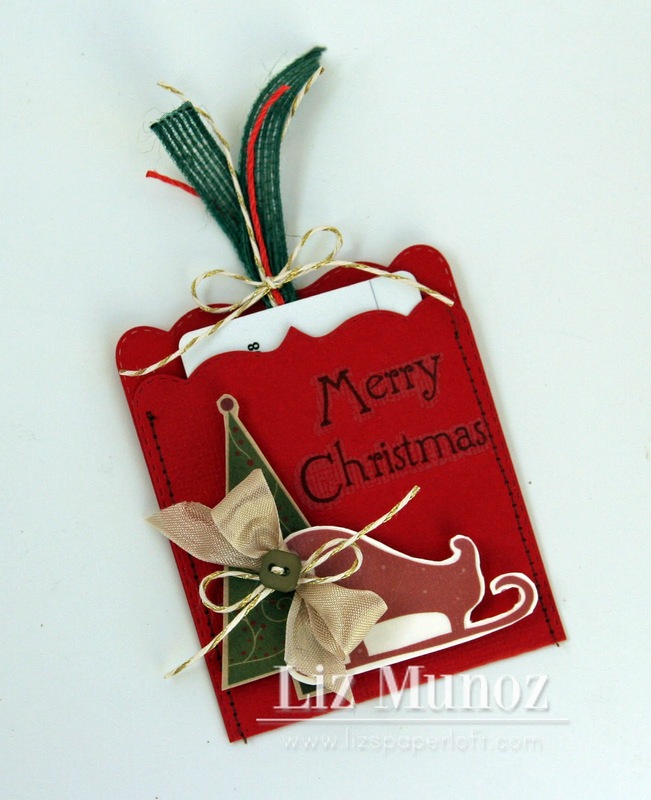 I wanted to create gift card holder that could also hang on the tree as an ornament! 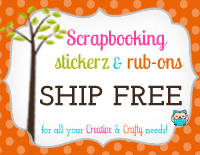 So used a die, die cutting both ends, then stitched it up on both sides to create the pocket for the gift card! Added these adorable stickerz, bows, and a button! Finished it off with an eylet, some jute and hemp...easy peasy! This is super cute my friend. Love it. What a CUTE gift card holder, Liz! I love this idea and may have to lift it!!! 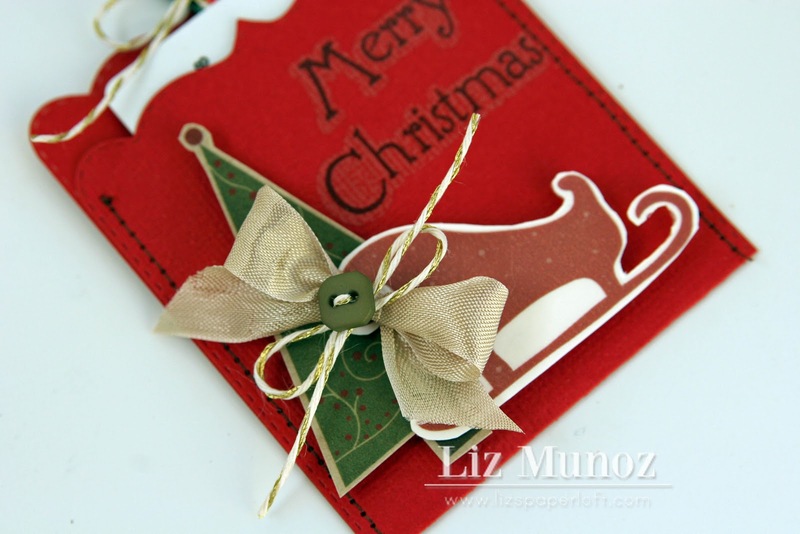 Very cute ornament gift card holder! Liz, hiya! Maybe I've been living in a cave, but this is the first time I've checked out your blog...I got here from Everyday Cricut, btw. Anywho....LOVE the mini Halloween album. Any guesses as to what I'm going to make today??? Thanks for such original, really classy and adorable ideas! Fantastic!! Love that it's both a gift card holder and ornament! This is awesome Liz...totally casing this for sure!!! What a cute tag ! Definitely will miss seeing EAD inspirations ! Liz ~ this is not only GORGEOUS but so elegant! 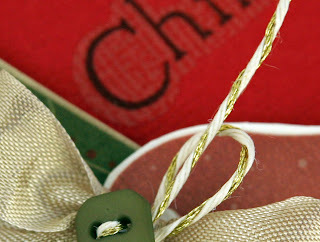 I LOVE the idea that it is a gift card holder and an orntament too! Love it!! Such a cute tag! Love it. I love your gift tag. So perfect for those gift cards. What a cute way to give a gift card! This is one of the most adorable tags I have ever seen! Fantastic job!